Russia isn't a monarchy anymore but a republic. To claim a throne you need to have a form of government that supports the monarchy. If Russia decides to change into a monarchy they can choose whoever they want to sit on the throne. But the discussion is very hypothetical. Yes...regardless I'm still interested. I do have a Vanity Affair article that mentions Grand Duke George. It really depends on who you talk to. The "heirs" most discussed are George and Nicholas Romanovich. The later is the head of the RFA, and considers himself head of the family as opposed to the dynasty, which he believes ended with Michael's manifesto in 1917. The RFA has an orderly succession which will eventually go to the sons of Andrei Andreivich, who presently live in Northern California. None of these sons as yet has sons and none lives in Russia or has plans to move there. George's viability as heir depends on three important factors. First, the strength of his claim depends upon his making an "equal marriage". If he fails to make one or if he does not marry at all, his claim will be pretty worthless. Second, since his claim is the most traditional, he must have sons to have a viable claim because he has no siblings. Third, he must establish a presence in Russia, which I understand he currently cannot afford to do. If George meets these, he has the best chance of everyone. I personally favor the Ilyinskys. They have been asked back twice by the Russian people. Grand Duke Dmitry was asked back after the Revolution and refused. His son Paul Ilyinsky was asked back in the 1990's and refused. Paul has two sons, neither of whom currently has a son, but the Ilyinsky claim is strong for several reasons. One, Dmitri Pavlovich (b. 1954) is now the senior male heir of the line of Holstein-Gottorp-Romanov. Second, there are numerous Ilyinskys, not just one. Third, they are the only branch of the family that has maintained excellent relations with all other branches of the family since the Revolution. They have refused to participate in the family squabbles. Fourth, they are well established in America and do not need to be claimants in order to fill otherwise empty lives. Just my not so humble opinion! Rob: I responded to this contention on another thread. Those who are saying that the line is excluded due to Maria Pavlovna's late conversion are unfamiliar with the Fundamental Law. All of the Romanovs in exile with the exception of the Nicholievichi recognized Kirill as the legitimate heir once it was certain that Michael, Nicholas, and Alexis were dead. Maria Feodorovna also was apparently unfamiliar with the Law and felt her opinion on this mattered in a legal sense. It didn't. I don't think there is one answer to this question since the evidence is contridictory. I personally have no firm opinion one way or another. However, the one thing I do maintain is that it's obvious through their actions that neither Alexander III or Nicholas II, as autocrats, felt themselves restrained by the Pauline Law and made decisions outside of it. They were supported in this view by jurists of the the time. No one opposed them. Their view of law in an autocratic empire 100 years ago is, most likely, different than ours. After the revolution the dynastic laws were terminated and they have no legal bearing anywhere - so this discussion is theoretical. I hope everyone can step back and enjoy the discussion. Sorry everybody, it all sounds so ''theoretical'' (to put it politely) for a Russian! Particularly Iliinsky's line.......With all respect for the Romanov family- there is no serious support for the restoration at all. Time has gone, full stop. But it did not happen, as far as I know. Can't blame him for preffering quite life in Madrid/Paris. Better to leave things the way they are. Would you mind posting the sections and subsections of the fundamental laws which pertain to the succession? I, too, am under the impression that the heir to the throne must have an orthodox mother at the time of birth. 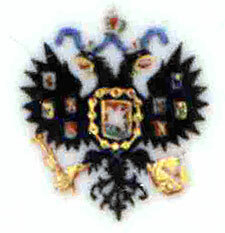 It does state clearly in the fundamental laws that the heir to the throne cannot marry until his wife has adopted the Orthodox faith, but I presume that this applies only to the Tsarevitch, and not to dynasts in general as Maria Pavlovna was allowed to marry Vladimir withour converting, as were several others. As per who is actually the heir, it is clear that Nicholas II did not want the throne to pass to the Vladimirovitchi. He was, of course, completely familiar with the Laws of the Succession, and in his abdication, he chose his brother Michael (who had contracted a morganatic marriage without the permission of the Emperor -- two strikes against him dynastically) rather than his Cousin Kirill, who, if everyone is to be believed, fit all the dynastic rules. By ignoring the dynastic succession rules here, it seems that Nicholas basically broke them down in favor of strict primogeniture, which leads us back to... Kirill and Vladimir. If you then ignore morganatic marriages, and only go by primogeniture, you get, as Lisa says, the Illynsky boys. Article 184 provided :With the permission of the reigning emperor, members of the Imperial House may enter into marriage both with persons of the Orthodox faith and with persons of other denominations. This was qualified by Article 185, which addressed marriages of the most senior dynasts:The marriage of a male dynast of the Imperial House who might succeed to the Throne to a person of another faith may not take place until she embraces Orthodoxy. Article 128 states that the eldest son of the emperor and the eldest son in each generation descending from that eldest son of the emperor are each considered an heir to the throne. I read the link that Lisa so kindly sent to me on this issue. I find one flaw with the gentleman's otherwise well reasoned arguement. The issue may not be the fundemantal laws of Succession per se. The question as raised by Spiridovitch, I think, is: could a son born to a woman who was not Orthodox at the time of his birth (precedance aside) actually take the throne as the Supreme Head of the Orthodox Church and the State? I think the answer may have come back from Tchcheglov that the answer was, "he might in line for succession, but must be excluded because his mother was not Orthodox when he was born.". Clearly Article 185 implies that BOTH parents of any son who will succeed to the throne MUST be orthodox at the time of marriage. Why? because any son who takes the throne MUST be born to an Orthodox mother. Sure, the Emperor can approve any marriage he wants to, and give his children all rights, but history never faced the question of what would actually happen IF a son born to a Lutheran mother actually became the inheritor. I dont think Spiridovitch NEEDED to be familiar with the laws of succession, since I am sure the Minister of Justice had plenty of people who were familiar with the laws when he wrote his report. I do think Spiridovitch truly believed this report existed, and that he belived that Tchcheglov wrote it. The only real answer would be to find the report in GARF if it really is still there. Just my 2 cents. Brian's classic argument has been online for quite a long time, and is a rebuttal to a paper I wrote to him in good-natured fun (yes, I am "Mr. X"). While I agree with him on virtually everything except the status of the Bagration-Moukhransky family, I would still like to see the ENTIRE text of the fundamental laws pertaining to the succession. Lawyers (and most researchers) have a terrible habit of using facts which support their case, while ignoring those which don't. One of Brian's biggest mistakes is in his assertions that the listing in the court calendar is an order of succession -- it is, in fact, a table of precedence, which is something entirely different. I have yet to read or see anything to convince me that that is the same thing. Has anyone actually asked George if he wants to be the Emperor of all Russias? I believe that I need to weigh in on Bob's side on this one---it is fun to speculate what might have happened, but history shows that the Romanovs were willing to simply change the laws (or ignore them) to put individuals onto the throne. Peter I re-wrote the succession laws so that he could chose his successor---then he failed to do so. His second wife then succeeded him because she had the support of the court and the military. Their daughter Elizabeth (who was, I believe, born out of wedlock) seized power several years later in a coup. Catherine II, a German princess, seized power 20 years later in another coup. Her son Paul, who was extremely put out at his mother, would again re-write the law so that only the oldest male heir could inherit the throne. I would venture to guess that if there had been an issue over Alexei Nicholaevich not being able to inherit the throne, or if the monarchy could have been restored after 1918, that the Romanovs themselves could have made the decision--or simply returned to the good ol' days when the zemsky sobor elected Michael Romanov in the first place. I´m Spanish and use to see the grand duchess Maria and his son often in press or television. For me, thinking about George as heir is out of the question. First because there´s no throne at all, and second and foremost, in my opinion, is that Kirill´s attitude during the revolution is completely outrageous. To say only one thing, how could he take the troops and leave Alexandra and the children helpless in Tsarskoe??? What about his Oath of Allegiance? A gentle reminder: as decreed by Mikhail Aleksandrovich, it's up to the people of Russia to ultimately decide what form of government they wish to have, and who to run that government. I understand that all branches of the Romanoff family observe Mikhail's wishes, even the Vladimirivichi, whom have stated it's up to the Russian people. All that aside, it's also important to note that in light of the recent repudiation of the British and Russian governments' claims regarding the identity of remains unearthed outside of Yekaterinburg, Mikhail Aleksandrovich's remains have never been recovered.